The Miracle didn’t quite reach their 12-run total from Sunday, but on Monday they did score seven runs. They also got another strong starter who is beginning this season with a great streak. Pensacola’s Opening Day starter was terrific again, and the Blue Wahoos game ended with a back flip, so that’s always good. Rochester announced on Monday that Wynston Sawyer was going on the injured list. Cedar Rapids announced that OF Gabriel Maciel was activated from the IL while OF Jean Carlos Arias was sent back to extended spring training. The Blue Wahoos started a new five-game series and won 4-3 to improve to 8-3 on their season. Jorge Alcala started and improved to 3-0 with a 2.30 ERA. In 5 2/3 innings, he gave up two runs on four hits and two walks. He struck out seven batters. Jovani Moran came on and was charged with an earned run on two hits, a walk and a hit batter. He struck out four. Dusten Knight came on with two runners on base in the eighth and recorded the final out. He worked a scoreless ninth inning and earned his third save of the year. Brian Schales provided the early offense. He hit a two-run homer, his second of the season. Tanner English went 2-for-4. The Miracle got some early runs and more strong pitching to gain a win and improve to 8-4. Randy Dobnak started and threw another six scoreless innings, giving him 11 shutout frames to start his season. He gave up just three hits, walked one and struck out four. Calvin Faucher came on to start the seventh. He gave up three runs on four hits and two walks and recorded just one out. Tom Hackimer came on and got five outs without allowing another run. Johan Quezada walked one in a scoreless ninth. 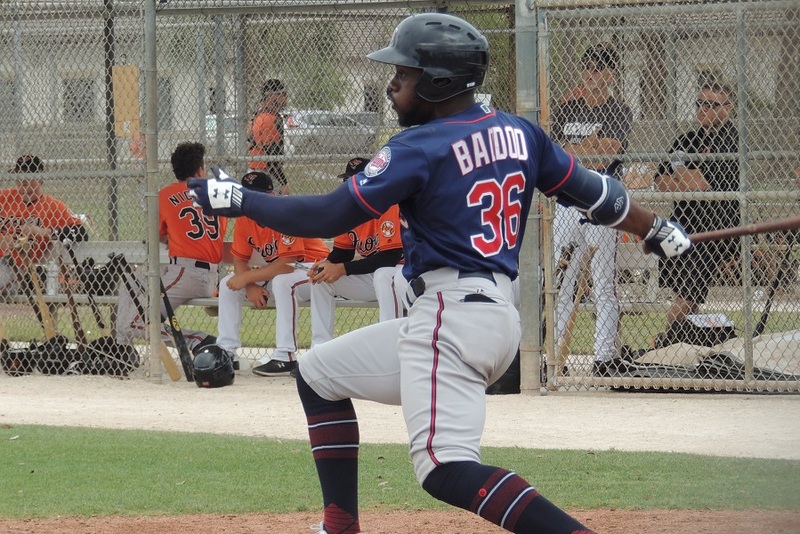 Akil Baddoo went 3-for-4, was hit by a pitch and launched his second home run. Royce Lewis went 3-for-4 with a walk and his second double. Ryan Jeffers also had three hits in four at-bats and walked once. Trevor Larnach hit his fourth double and drove in two runs. Jose Miranda drove in two late runs with his first triple of the season. Trey Cabbage provided some late-inning power, but it wasn’t enough as the Kernels fell to 4-8 on the season. Cabbage hit a two-run homer, his third long ball of the season, in the ninth inning. Gabe Snyder went 1-for-3 with a walk, and Andrew Bechtold added a double. Luis Rijo started for the Kernels. He gave up five runs (three earned) on ten hits. He walked one and struck out two. Derek Molina got the final eight outs. He gave up two runs on two hits while striking out three batters. Reminder: This series of games is at Cedar Rapids, but Quad Cities will be the home team on the scoreboard. Quad Cities ballpark (Modern Woodmen Park) remains surrounded by floodwaters from the Mississippi River. Please feel free to ask any questions and discuss Monday’s games. Two good offensive games and that FTM box score doesn’t look quite so ... offensive. Don’t get me wrong, a few OPSs near the Mendoza line, but two nights ago it was brutal. Keep mashing Royce. Need you tearing up AA ASAP. Alcala has started out well. Like the strikes outs and lack of baserunners. He only threw 90 pitches yesterday and around 75 the other 2 starts. He’d be going plenty deep into games with 100 pitches. Dobnak doesn't have the prospect shine, but he sure seems to get the job done for this organization.I hope he can keep moving up, pitching his game and find himself with a chance to play at Target Field someday. Please stay healthy, Bailey Ober.It's great to see him come back and pick up where he left off last season when he got hurt. Great to see those Miracle bats coming alive.Hopefully, Javier gets up to CR soon and can inject some energy into that lineup. There are still pitch count limits in the minors after 3 starts. They're going to be cautious with these guys. Besides that, great to see the Miracle bats catching up to help the OUTSTANDING pitching performances in the FSL. I hadn't heard anything until Sunday when Jeremy Zoll said that Kirilloff and Javier are both very close. That's not detailed, but it's what we've got. Alcala's good start to the season has me hopeful his secondary stuff is coming along nicely. He's looked really, really good... Secondary stuff has looked very improved... through three starts.